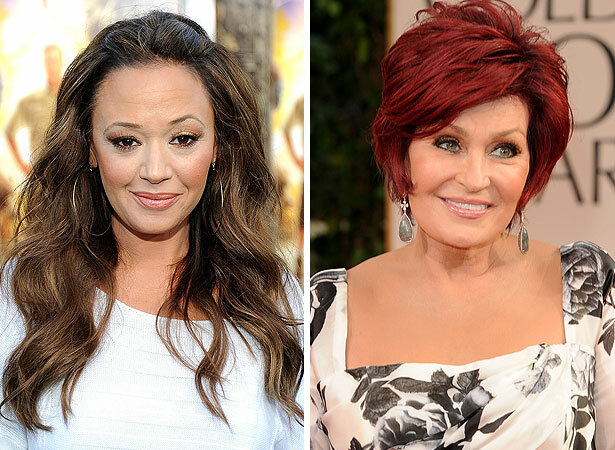 Actress Leah Remini -- who was let go from her hosting gig on "The Talk" last year, along with Holly Robinson Peete -- is now speaking out, blaming former "Talk" co-host Sharon Osbourne for the surprise boot. Responding to Osbourne's radio interview with Howard Stern, Remini tweeted Monday, "Sharon thought me and Holly were 'ghetto'... we were not funny, awkward and didn't know ourselves. She has the power that was given to her." Osbourne then took to her Twitter account on Tuesday to deny the allegations. "In response to Leah Remini's continuous comments that I had her fired from The Talk, let me just go on the record to say I had absolutely nothing to do with her departure from the show and have no idea why she continues to take to Twitter to spread this false gossip." Osbourne added, "Leah knows that I have never been in the position to hire or fire anyone on the show. That being said, my only wish is that Leah would just stop all this negative, unprofessional and childish behavior. It's been seven months... it's time to move on. Leah is a very talented actress and I only wish her happiness and success." She concluded: "I know that better things are to come if she can just get beyond all this negativity." Remini followed up Wednesday, tweeting she believed Osbourne "just wants publicity out of this" and said she has no intention of keeping quiet. "If someone wants me to stop, they should call a lawyer and tell them what I am NOT telling the truth about," Remini told her Twitter followers. "We can go from there."